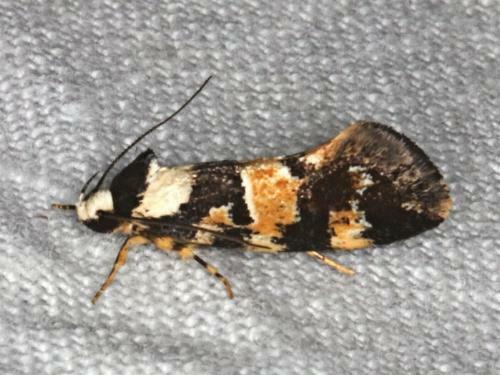 The moths of this species have dark brown forewings, each with several ragged white and yellow patches. The hindwings are brown. The head is white with a black collar. The wingspan is about 2.5 cms. Series 2, Volume 3, Part 4 (1889), pp. 1576-1577, No. 590 (122a).